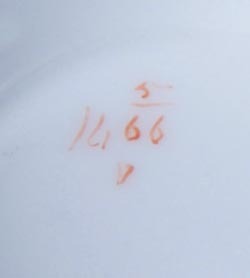 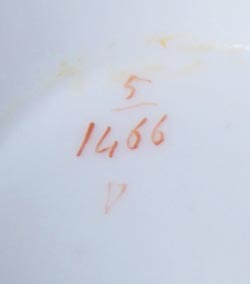 The saucer is 143mm in diameter. 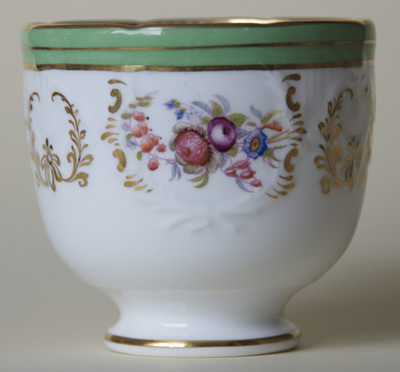 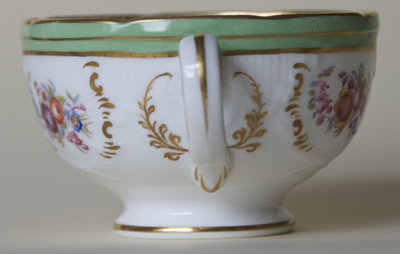 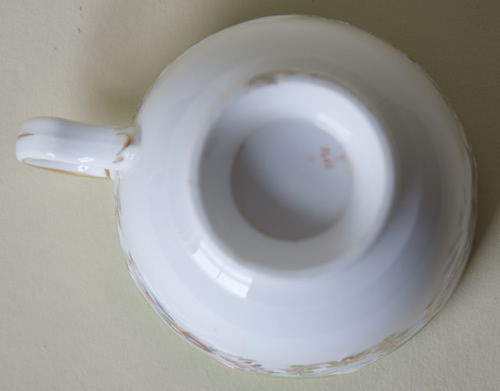 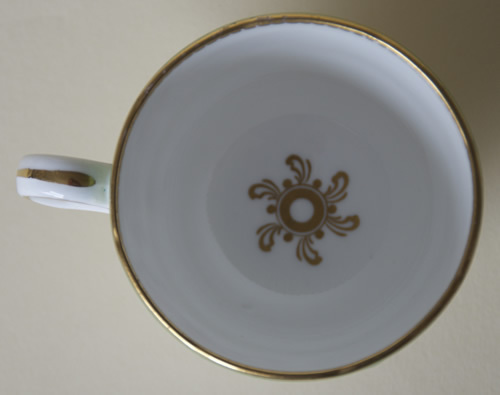 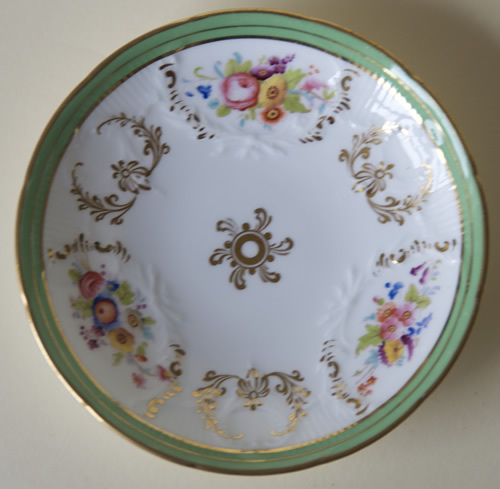 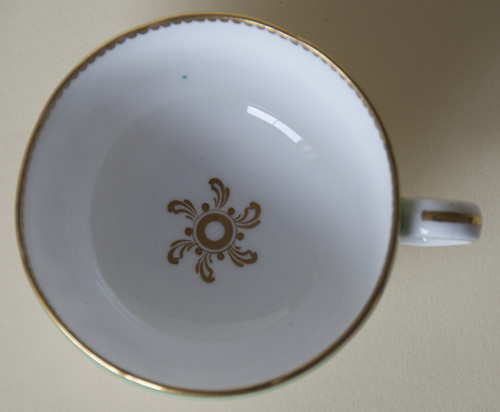 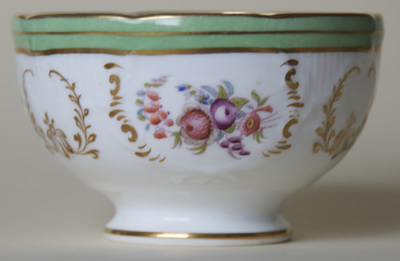 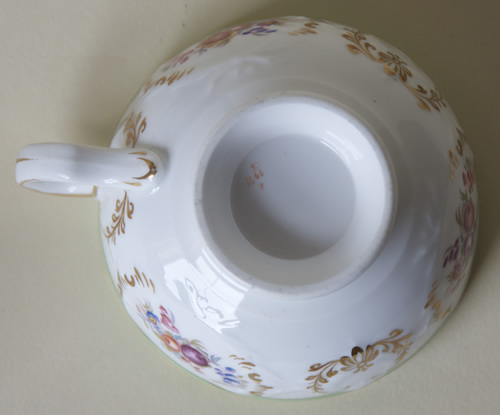 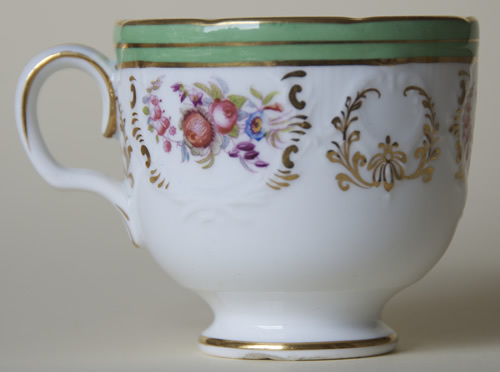 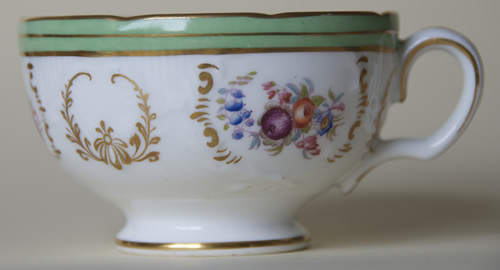 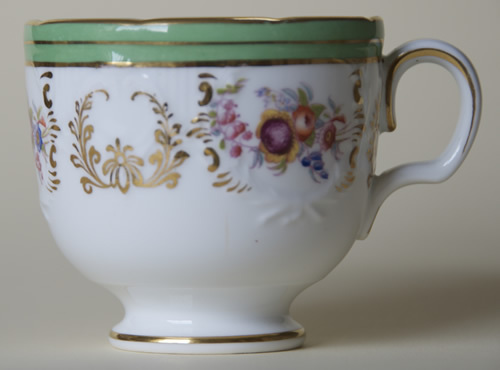 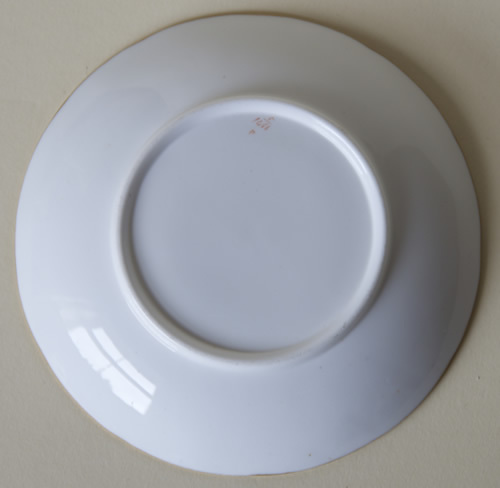 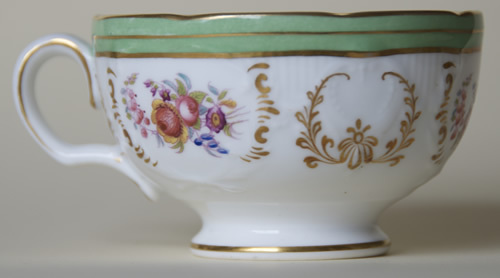 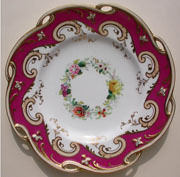 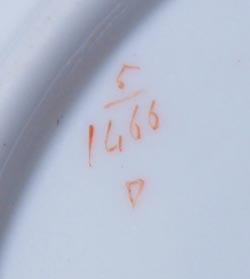 The tea cup is 56mm high, and 92mm in diameter; the handle protrudes 21mm. 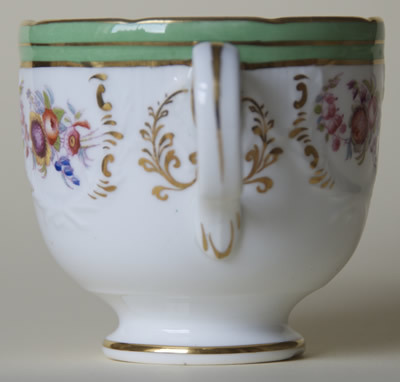 The coffee cup is 71mm high, and 78mm in diameter; the handle protrudes 22mm.